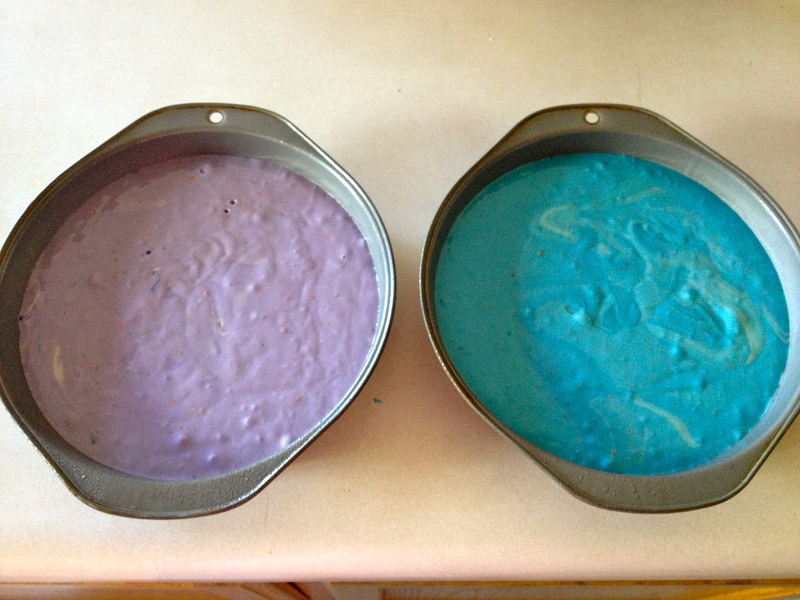 I wish the outsides of the cakes stayed a fun color, but after baking they do always change. 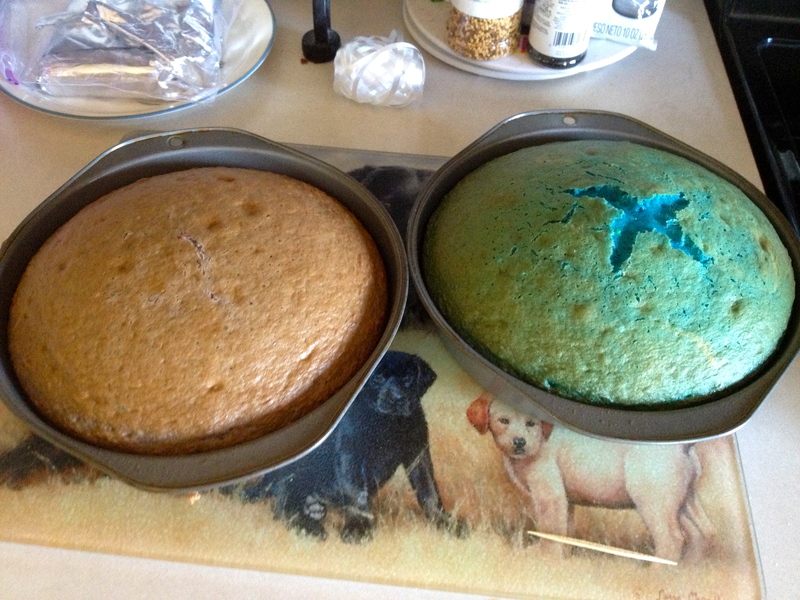 Here are the same cakes pictured above, fully cooked. 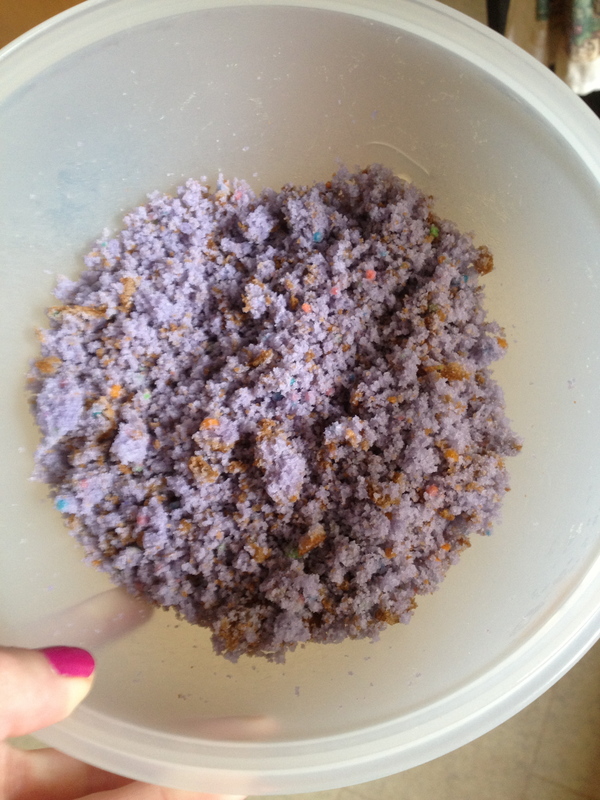 and then crumbled up. 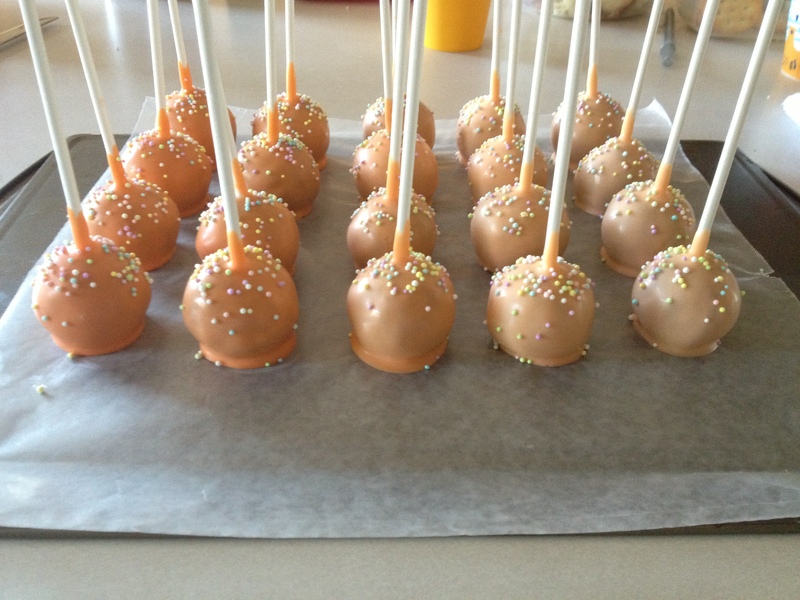 At this point, you just make the cake pops like you normally would. 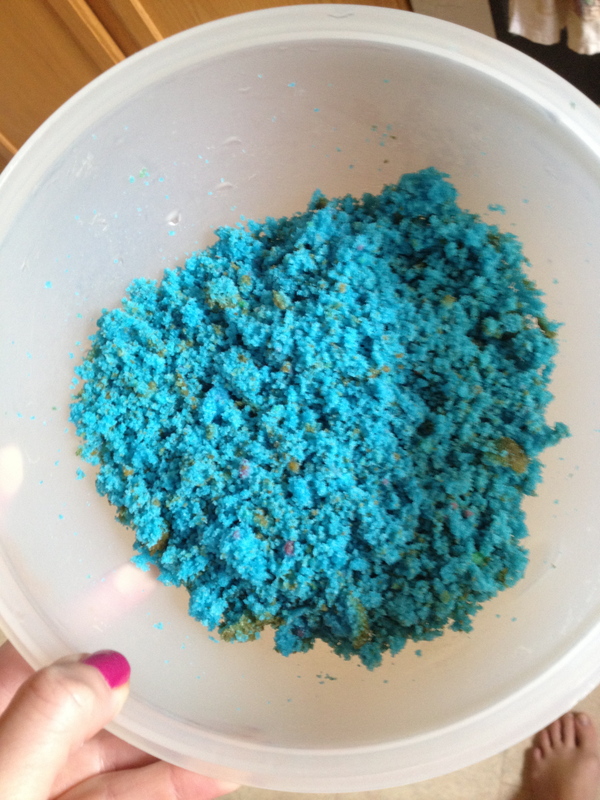 I know this is probably nothing new to many people, however I just love the color and think it is a great tip. 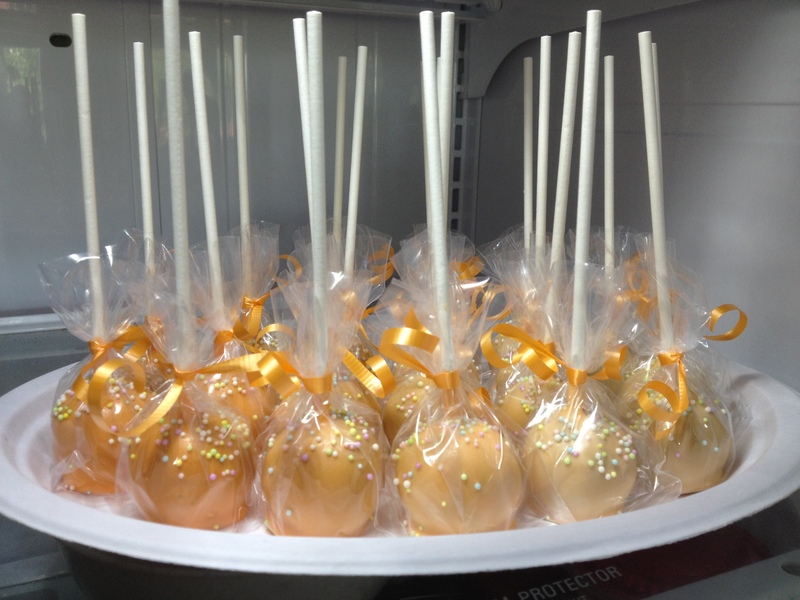 I used these cakes to make orange ombré cake pops for a party. 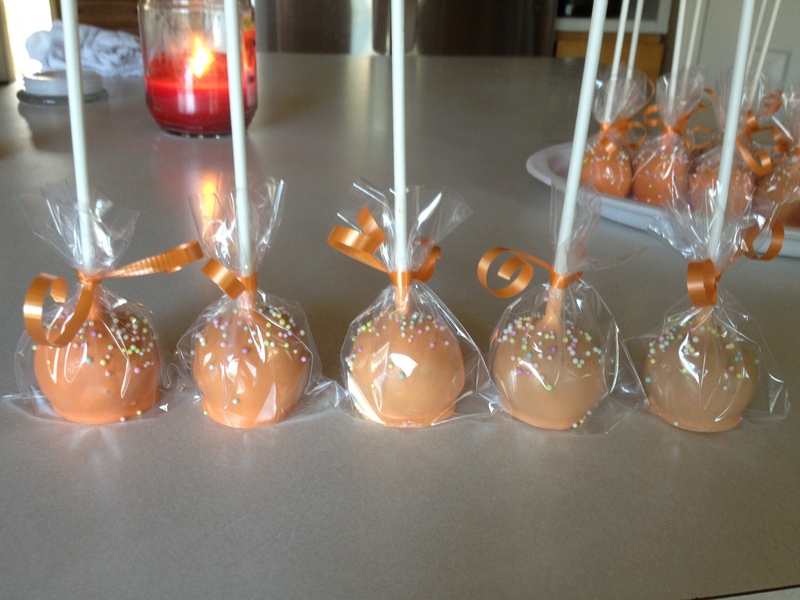 I started out with orange and then added white after each set (in this case, 4 of each shade, 20 total) I went with a more gradual effect to get more shades (I also didn’t have a lot of white candy melt), but to make the color change more apparent just add more white after the first set. I recommend fading to white in that case to allow more shades. 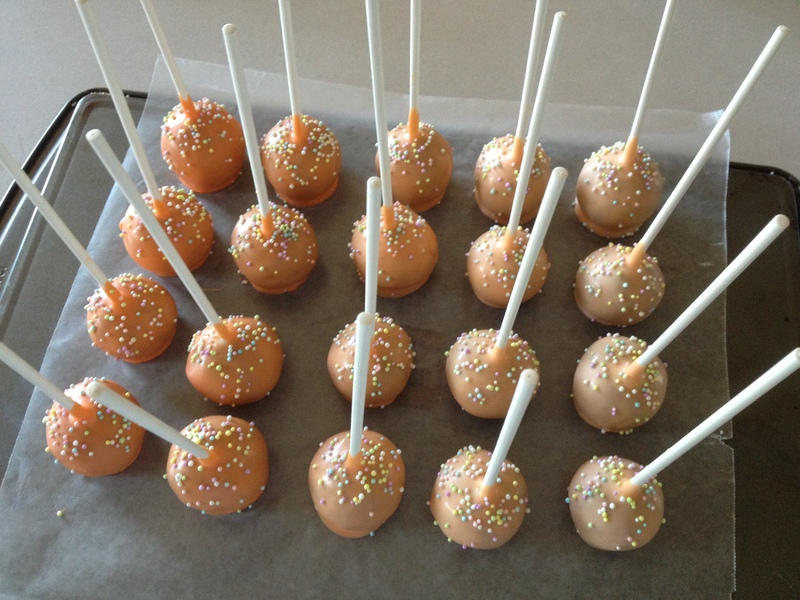 I usually make cake pops where I need a foam board, but this time I decided to leave them upside down. I like the way both look. I wanted a pastel theme, and added some sprinkles that fit.